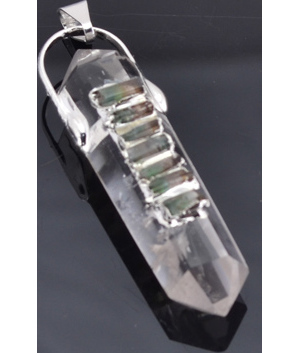 A large Clear Quartz point with Tourmaline chips affixed to the front of the point. Sizes vary: 1 3/4" - 2" long, 1/2" wide. No cord.